Growing up on the Rock P Ranch, Maggie Porter never thought she would one day be the one to save her father’s ranch by driving a herd of cattle to market. But that’s just what happened, along with all of the other women around, in this River North fiction by Susan Page Davis. Imagine what ranch manager Alex Bright and his men thought about women taking over their job? I found this book a wonderful and interesting historical read. Maggie was a daddy’s girl, but she was also strong-willed and determined. She always had her eye on Alex from the first day he came to work for her dad, and after returning home from two years away from the ranch, Alex is as handsome as ever, but Maggie can’t believe he decides to side with the other ranch hands against her father. With realistic and interesting characters, Cowgirl Trail captured my interest from the beginning. Having read all of the Texas Trails series about the Morgan family, I was excited to be able to read this book as well, and it didn’t disappoint. I highly recommend Cowgirl Trail for a fun, light and interesting read. You will be glad you picked up a copy of this book! 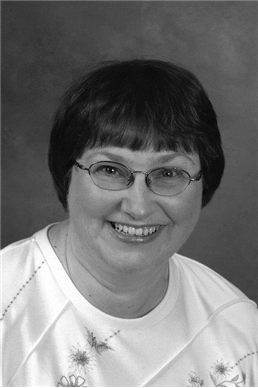 SUSAN PAGE DAVIS is an award winning author who has published more than thirty novels in the historical romance, suspense, mystery, and romance genres. She’s a past winner of the American Christian Fiction Writers’ Book of the Year Contest and a two time winner of the Inspirational Readers’ Choice Contest. Susan is a longtime homeschooler and former school teacher. A Maine native, she now resides in Kentucky with her husband Jim. They have 6 children and 6 grandchildren. Visit Susan at her website:www.susanpagedavis.com. Travel along with Elise Finster and her British mistress, Lady Anne Stone, as they search for the new but missing earl of Stoneford. Determined to follow David Stone’s somewhat cold trail leading to Oregon, greenhorns Elise and Anne secure livestock and supplies to join a wagon train. Will the ladies succeed in their quest or succumb to the malfeasance of the mysterious man dogging their heels? Scout Eb Bentley’s initial disgust with these ill-prepared women eventually turns into admiration for one lady in particular. Can he protect her long enough to win her over, or will prairie dreams turn into a Wild West nightmare? This book was a little bit slow starting for me, but after a while I started thoroughly enjoying the story. This is Oregon Trail/Wagon Train story with a twist. In this one, The Earl of Stoneford’s daughter, Lady Anne Stone and her Lady’s Maid Elise Finster is on the trail. Both ladies know nothing about cooking, or taking care of themselves for that matter. Scout Eb Bentley sees that right off, and does everything he can to try and stop them from joining the Wagon Train. After all, everyone needed to take care of themselves, and no one had the time to take care of two prissy ladies on the long Oregon Trail. But Anne was determined to find her uncle because he was next in line to be the Earl of Stoneford, and Anne wasn’t about to give up her inheritance without trying with all her might to find the next Earl. This was an interesting story to say the least. Just reading about these two ladies was a hoot at times. 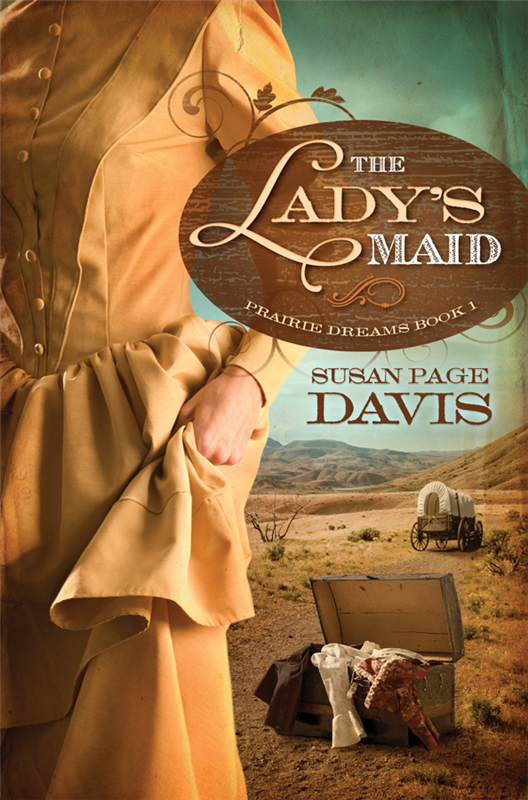 Susan Page Davis creates two quirky characters that you will grow to love, and sets them in a historical setting totally different than anything they have ever know, and probably totally different than anything you’ve ever read. And the outcome is very interesting and enjoyable. And I love the history throughout the story, giving readers like myself an enjoyable history lesson to go along with the interesting story. I highly recommend this book for your reading enjoyment, and especially if you are a history buff. The Lady’s Maid is truly a good, clean, fun, funny, witty read that will not disappoint. Thanks to Barbour Publishing for providing a copy of this book for me to read and review. I was not expected or required to write a positive review. The opinions in this review are mine only. Susan Page Davis is the author of more than thirty published novels. She’s a Carol Award Winner and a two-time winner of the Inspirational Readers’ Choice Award. In 2011, Susan was named Favorite Author of the Year in the 18th Annual Heartsong Awards. A native of Maine, she and her husband, Jim, now live in western Kentucky. The Captive Trail is part of a six-book series about four generations of the Morgan family living, fighting, and thriving amidst a turbulent Texas history spanning from 1845 to 1896. Although a series, each book can be read on its own. On one of the first runs through Texas, Butterfield Overland Mail Company driver Ned Bright carries two Ursuline nuns returning to their mission station. They come across Taabe who is nearly dead from exposure and dehydration and take her to the mission. With some detective work, Ned discovers Taabe Waipu’s identity. He plans to unite her with her family, but the Comanche have other ideas. Through Taabe and Ned we learn the true meaning of healing and restoration amid seemingly powerless situations. 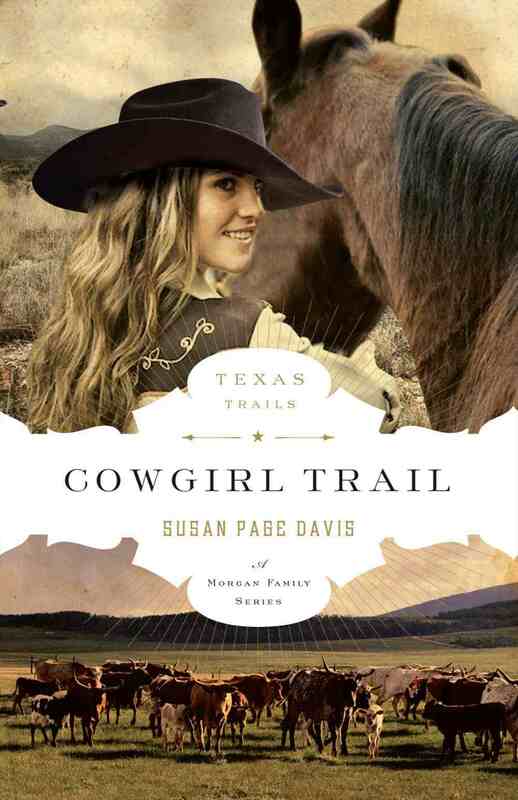 Susan Page Davis continues the Morgan family story in this second book of Texas Trails. Billie Morgan and her horse were taken by the Comanche’s and thought to be dead. And that did almost happen, but Billie, or Taabe Wiapu escaped from the Indian reservation and was almost dead when Ned found her. He takes her to a convent of Nuns for her safety, and families came to see if she was their long lost daughter, and that’s how the Morgan family found Billie. What a reunion that was! 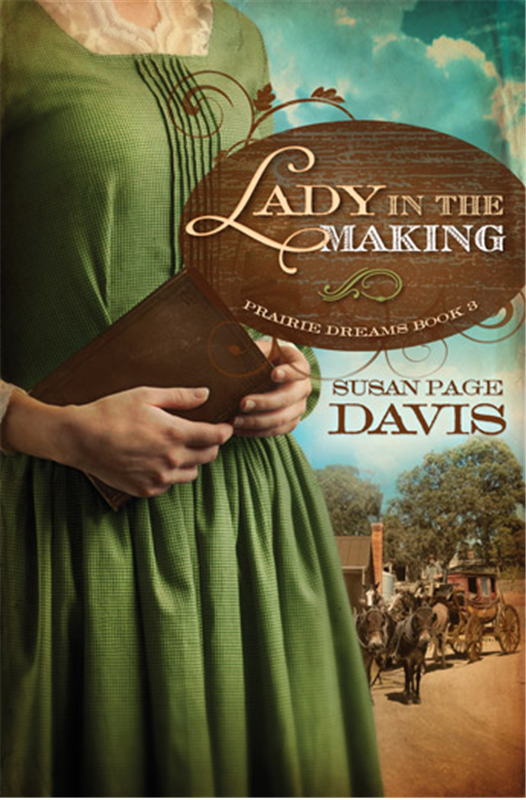 Susan Page Davis is a wonderful writer and she did not disappoint in this story. I thoroughly enjoyed the continuation of the Morgan’s story, though a little flavor was added with the nuns and getting to know more about the Comanche Indians. This book deals with a lot of interesting issues that captivate you and just won’t let you put the book down. We get a lot of history, learn a little about the ways on Indians, a little of what goes on in a nun setting, (though these nuns faced some interesting situations that most probably don’t), faith, trust and leaning on God, and of course a little romance to spice things up. 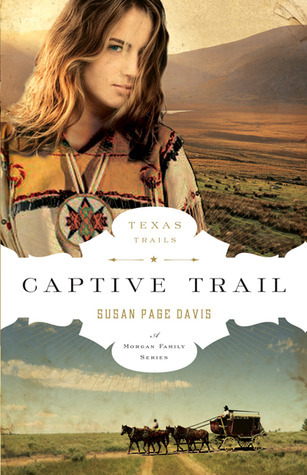 I highly recommend Captive Trail as well as the other books in the Texas Trails, Morgan family Series. There are six in all, so you have some reading to do. Go to River North, the fiction division of Moody Publishers and check out this wonderful series written by three different and awesome authors. A copy of this book was provided by River North. I was not expected or required to write a positive review of this book. The opinions in this review are mine only. SUSAN PAGE DAVIS is an award winning author who has published more than thirty novels in the historical romance, suspense, mystery, and romance genres. She’s a past winner of the American Christian Fiction Writers’ Book of the Year Contest and a two time winner of the Inspirational Readers’ Choice Contest. Susan is a longtime homeschooler and former school teacher. A Maine native, she now resides in Kentucky with her husband Jim. They have 6 children and 6 grandchildren. Visit Susan at her website: www.susanpagedavis.com.